When I was in 4th grade, my school took us on an overnight field trip to Sacramento. I loved learning about this time in history. About the Gold Rush and the beginning of the Industrial Revolution. Little 9 year old me got to see where it all took place and even got to do a little panning for gold! (Which was quite unsuccessful even though I'm pretty sure they pre-deposited some gold flakes in the river for us....) Nevertheless, I was quite happy on this trip. It played right into my imaginative little self! AND to top it all off, my mom was selected to be one of the trip leaders. Which made being away from home that much easier. Yes I was super attached (and still sort of am). Fast forward about 18 years and I made my way back to the capitol of this beautiful state to visit my sister, who is interning at the capitol building!! How cool is that? She took me on a behind the scenes tour of this beautiful "vintage" building. Unlucky for me, I happened to come and visit on one of the hottest weekends ever. I’m talking 100+ at the hottest time of day (which is weirdly 5pm). Despite the heat, however, we managed to have a grand 'ole time. Behind my sister's apartment is the American River, where we did this. Jk we didn't but that looks really really fun. 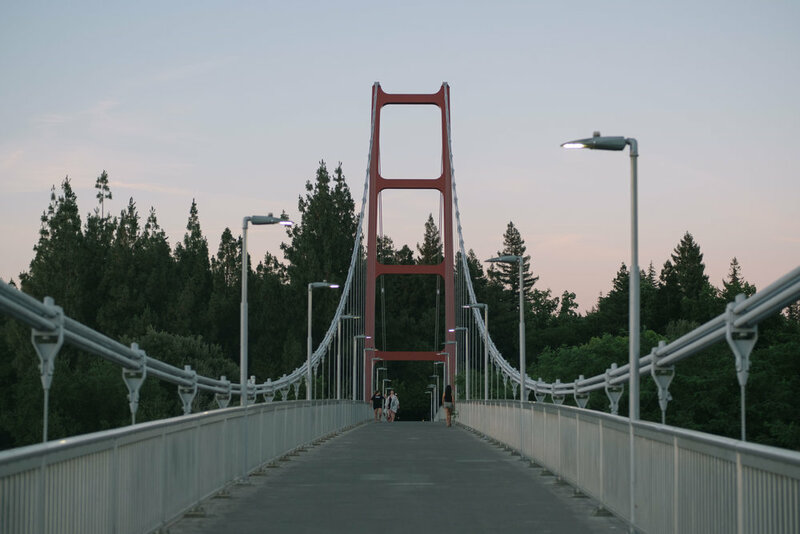 There’s a beautiful bridge that runs over the American River, connecting her side of town to Sac State Uni on the other side. The sunset over the river was just wonderful. 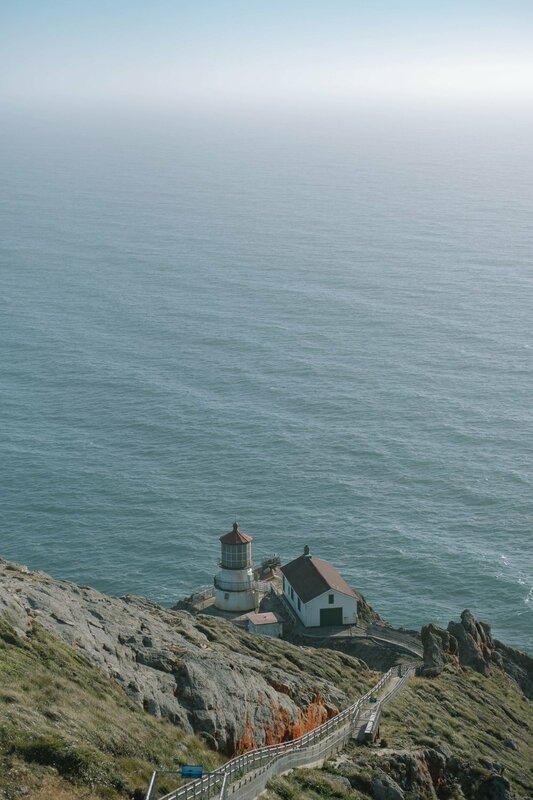 The next day, to escape the heat, we decided to drive out to the coast and visit Point Reyes. The cool sea air was juuuuuust aaahhh. Y’all know how much I love that sea air. It was gorgeous and green and wild. And at the very tippy edge of it there lies a very small lighthouse. Normally, you can actually walk right up to it. Or maybe I should say walk a very long way down to it...(you’ll see below). But neither of us thought to check the hours access to the lighthouse was open. And turns out it was only open 10am-4:30pm. We got there at 6 pm. -___- A good reminder to always check the times and do your research before heading out on an adventure! Back in Sacramento, we checked out the Crocker Art Museum. Which, honestly, was one of the better museums I’ve been to. 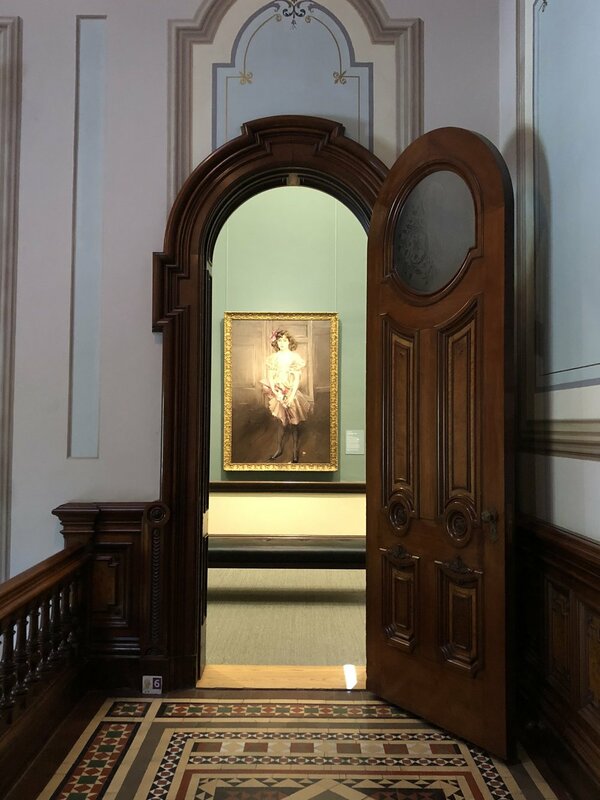 It had a really wide variety of art and cool architecture (the old Crocker mansion turned into a museum is pretty legit). I especially loved the staircase that had a curving wood railing that made me wonder how the heck they did that and if I was actually on acid. (Spoiler: I was. Haha jk. I was not. I’m not even sure if that could happen on acid). I found myself imagining what life was like for these artists. For the people they painted. For the worlds that once were. I wished I could hop in the painting and give it a whirl. I don't know why I am so fascinated by other times. Other lives. Perhaps that's why I love photography so much, to be able to capture and keep it in a box. So that it becomes this interesting slice of life. Just like when I was a kid, exploring the world around me in my own head. Now, I explore the world around me with my own lens.